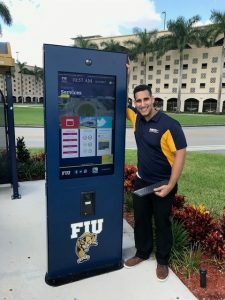 Home » Portfolios » FLORIDA INTERNATIONAL UNIVERSITY INSTALLS OUTDOOR INTERACTIVE KIOSKS WITH A CUSTOM WAYFINDING SOLUTION TO GUIDE AND INFORM THEIR STUDENTS AND FACULTY MEMBERS. Florida International University (FIU) recently installed custom wayfinding solutions at the MMC and BBC Campuses to guide their students thru the buildings, inform them about the faculty latest announcements, interact with them in a more meaningful and personalized way. The purpose of this project was to increase the level of communication with the students and faculty members. 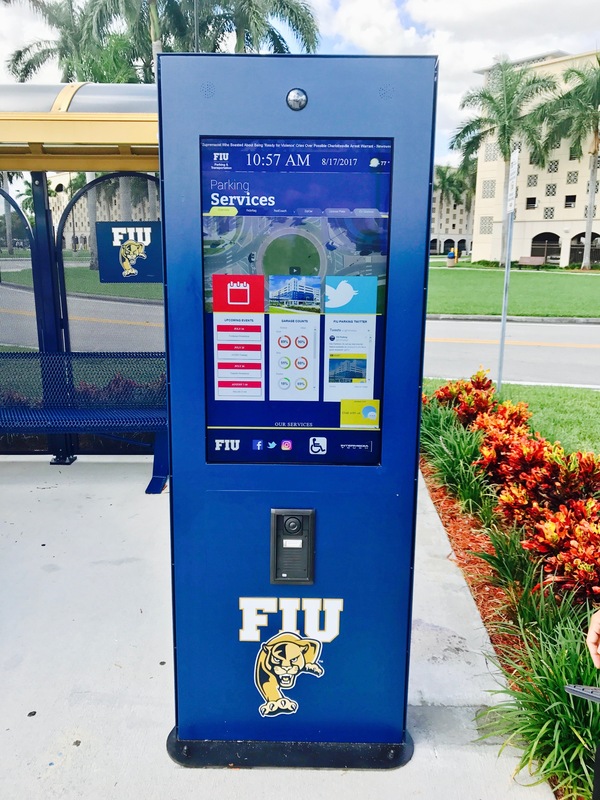 This custom application created by Intermedia Touch enables students to access valuable information related to FIU’s current events, allows them the ability to interact with the campus wayfinding guide, and be aware of other programs that enhance their educational experience. 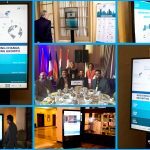 The interactive application also has different sections such as videos, access to social media channels, and calendar, all in a consolidated technological solution. 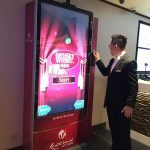 Intermedia Touch’s robust outdoor kiosks are built to withstand the elements because they are completely sealed from moisture and have built-in cooling systems to prevent overheating, an amplified weatherproof sound systems, and anti-glare and vandal proof 46” inch touchscreen LED/LCD backlit displays. Also, the outdoor kiosks were custom vinyl wrapped with FIU’s preferred theme and brand guidelines. For over four decades, FIU has positioned itself as one of South Florida’s anchor institutions by solving some of the greatest challenges of our time. We are dedicated to enriching the lives of the local and global community. With a student body of nearly 54,000, we are among the top 10 largest universities in the nation. And have collectively graduated more than 200,000 alumni, 115,000 of whom live and work in South Florida. As Miami’s first and only public research university, offering bachelor’s, master’s, and doctoral degrees, FIU is worlds ahead in its service to the academic and local community.